Eric is the author of nine books, including three non-fiction texts on crisis communications and corporate witch hunts, entitled Damage Control: How to Get the Upper Hand When Your Business is Under Attack (Portfolio, 2007) and Nail 'Em! 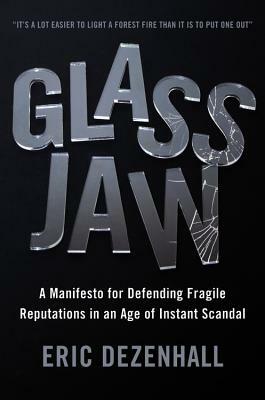 Confronting High Profile Attacks on Celebrities and Businesses (Prometheus Books, 1999), both of which have been widely cited in business, media and academic circles. He is also the author of six novels: Money Wanders (St. Martin's, 2002), Jackie Disaster (Minotaur, 2003), Shakedown Beach (St. Martin's, 2004), Turnpike Flameout (St. Martin's, 2006) and Spinning Dixie (St. Martin's, 2007). His sixth novel, The Devil Himself (Thomas Dunne, St. Martin's, 2011), deals with the collaboration between the U.S. Navy and organized crime during World War II to secure American ports from Nazi attack.